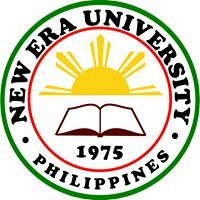 New Era University is a private educational institution in the Philippines, run by the Iglesia ni Cristo . Its main campus located at No. 9 Central Avenue, New Era, Quezon City, in the Central Office Complex of the INC. It has several branches around the Philippines, including one in San Fernando City, Pampanga, in Lipa City, Batangas, in General Santos City and soon in Santa Maria, Bulacan.Founded in June 17, 1975, it was known as the New Era Educational Institute, and was located in Echague, Quiapo, Manila, along Carlos Palanca St. It initially offered only secondary education but later expanded in 1977 to serve technical and vocational courses under its Center for Livelihood and Skills Training . It also offers graduate programmes.In 1981, it was renamed New Era College after the Ministry of Education, Culture and Sports granted collegiate status, and later in June 1995, to its present name, New Era University, when the Commission on Higher Education granted university status.It is run by the INC for the educational needs of the members although it does accept enrollments from non-INC members as well. Formerly, under the university umbrella, it ran the College of Evangelical Ministry, where the INC trains male members to become ministers.